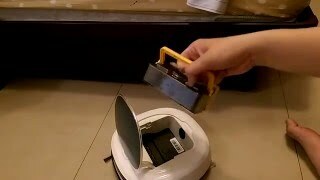 The Deebot D45 cleans and polishes hard-surface floors for less than half the price of high-end robot vacuums. Its navigation features keep it from falling down steps. 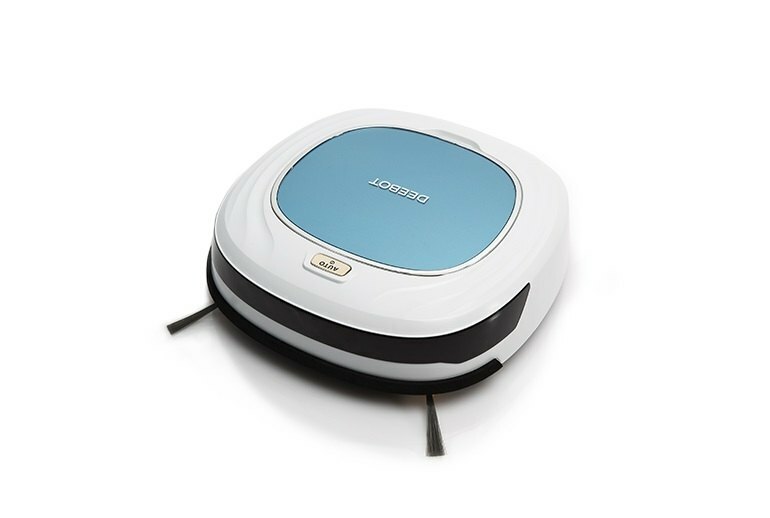 The Deebot D45 comes with a remote for programming daily cleaning or directing manual operation. It's no help if you have carpets or rugs. When Ecovacs says the D45 mops, it refers to dry mopping. The remote cannot program a weekly schedule--it can only set the D45 to run once a day at a specific time. Unlike most other robot vacuums, Ecovacs Robotics' Deebot D45 is designed for hard surfaces only and does not clean carpets or rugs. 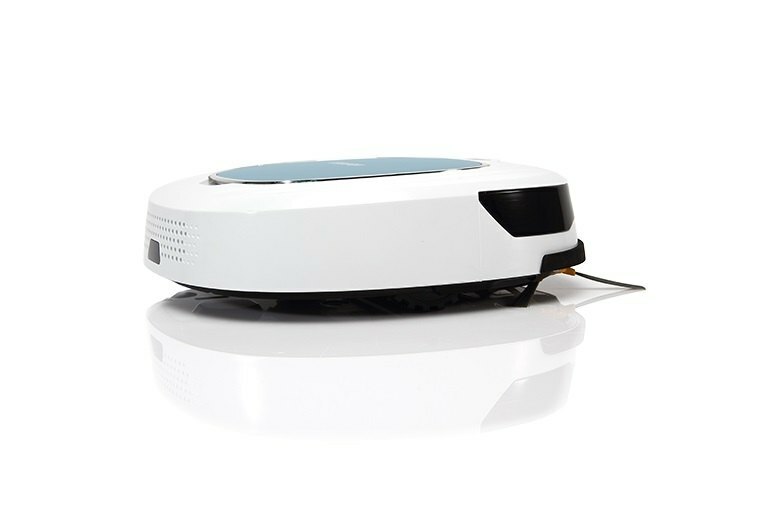 It can vacuum brushlessly or--outfitted with a microfiber attachment--polish hard-surface floors. Ecovacs says it "mops," but no water is involved unless you choose to wet the microfiber cloth. You can program the Deebot D45 to clean once a day at a time you choose or use the included remote to start and navigate it. 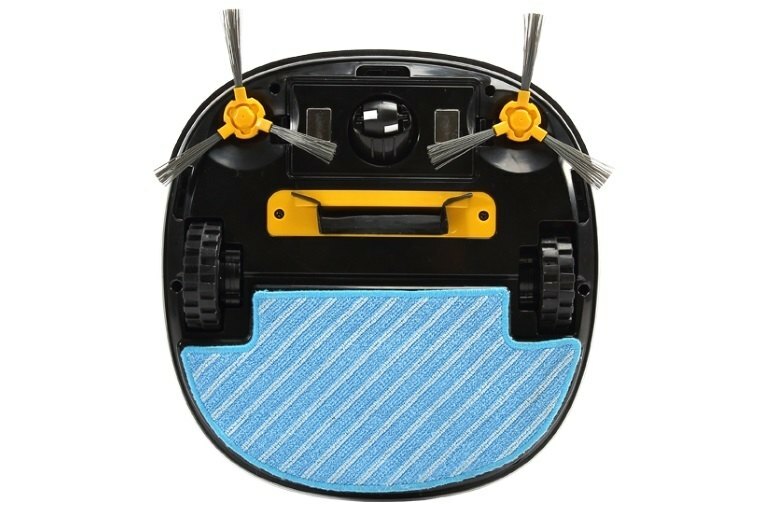 You don't get all the bells and whistles compared to the really expensive ones, but if you are looking for some help keeping up with dust, pet hair, random dirt on hard floors this guy is perfect. Yes, it does work, but you can’t schedule it to wet mop since you have to manually wet the cleaning cloth. Now, what makes the Deebot D45 interesting – I didn’t realize this at first – is that it uses direct suction. Which is to say, it doesn’t use a rolling brush to scoop up debris. 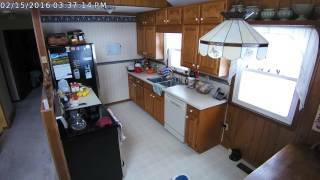 The net result is arguable a less effective vacuum, but one that won’t get tangled over time from pet hair, human air and any other objects that are analogous to that.